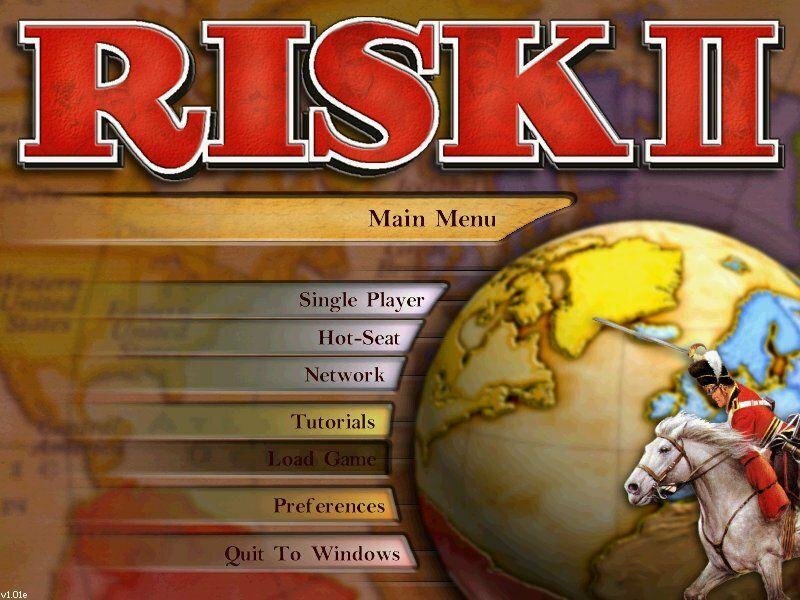 The original Risk would seem to be an ideal candidate for computerized transformation. 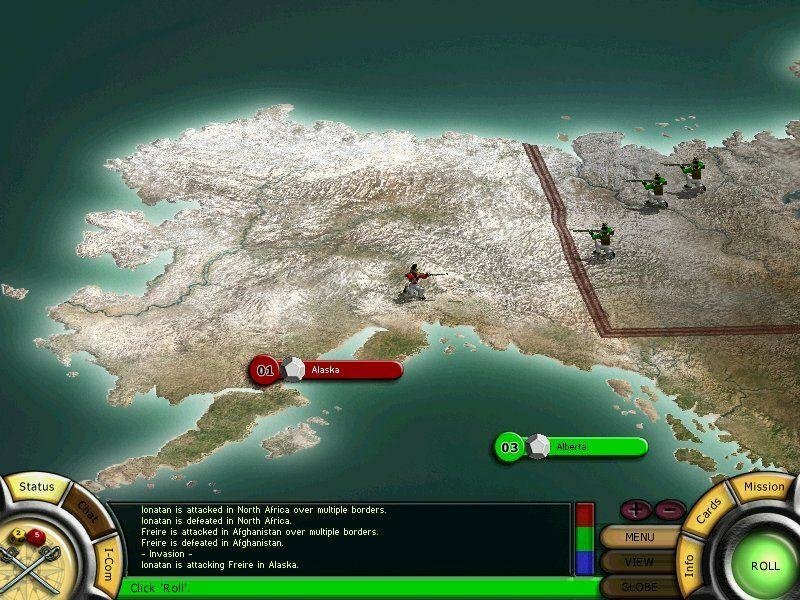 It minimizes luck and emphasizes both multiplayer interaction and the strategic placement of armies. The command set is so simple that even your local Channel Four Daybreak news anchor can grasp it. 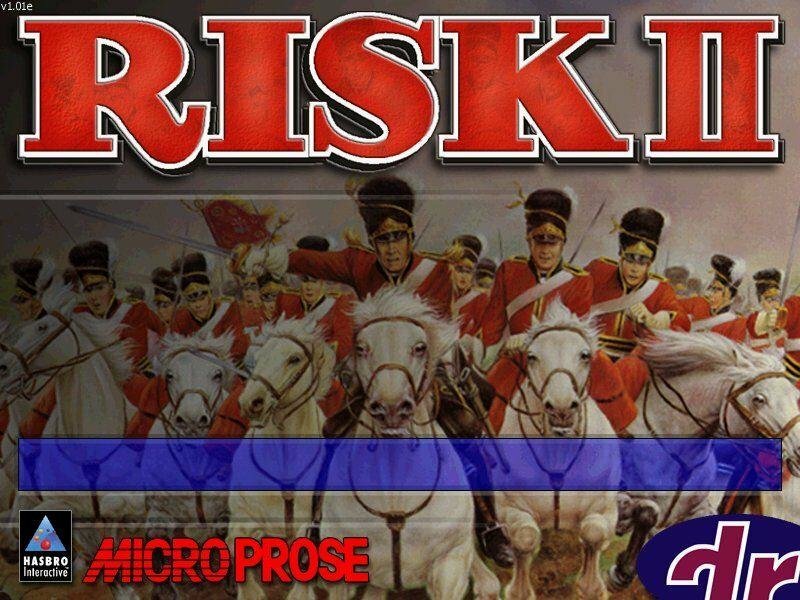 In Risk 2 the selection of AI-controlled opponents is good, with each possessing a nice mix of aggressiveness, unpredictability, and of course vindictiveness for treaty-breaking, etc. The game supports up to eight human players across a LAN or via hotseat play. Visually the game has changed somewhat. 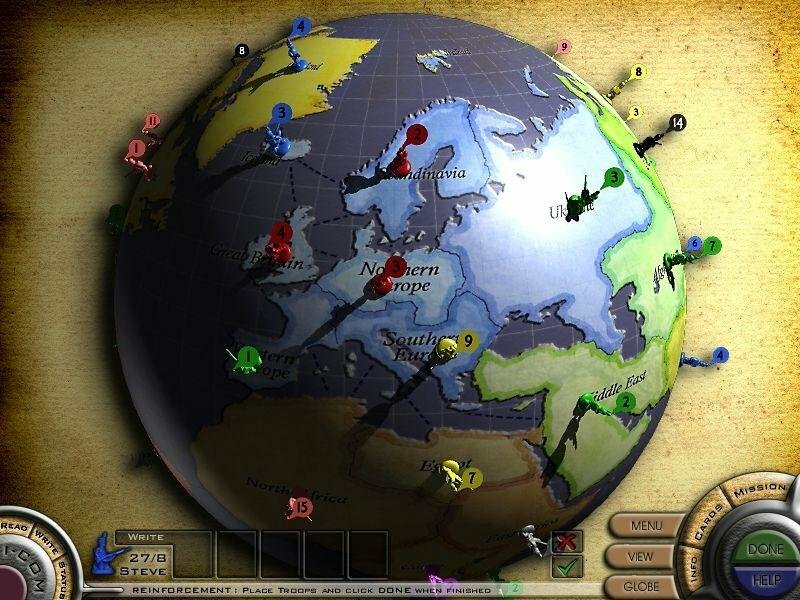 The map is brighter, with a 3D appearance. 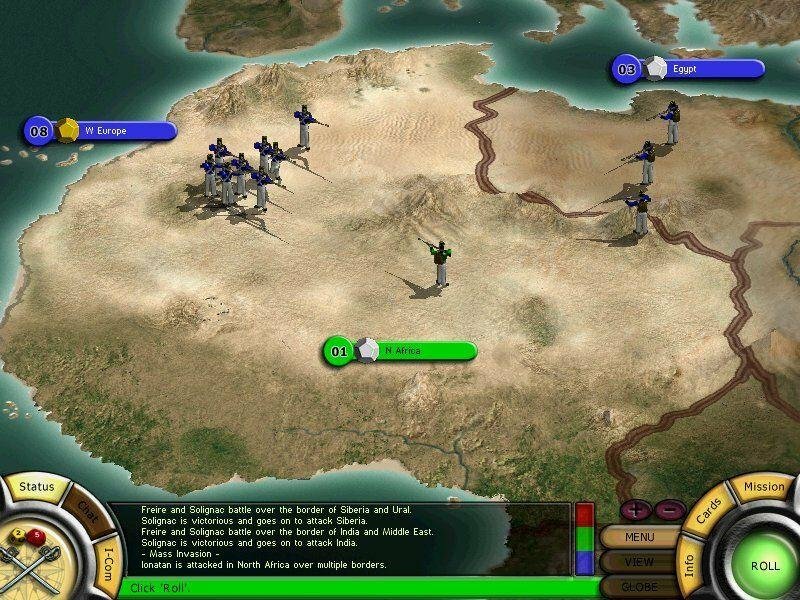 Countries blink and shimmer when players place reinforcements, attack or make a tactical move. The army bonuses for holding all countries of a continent can be adjusted to taste. 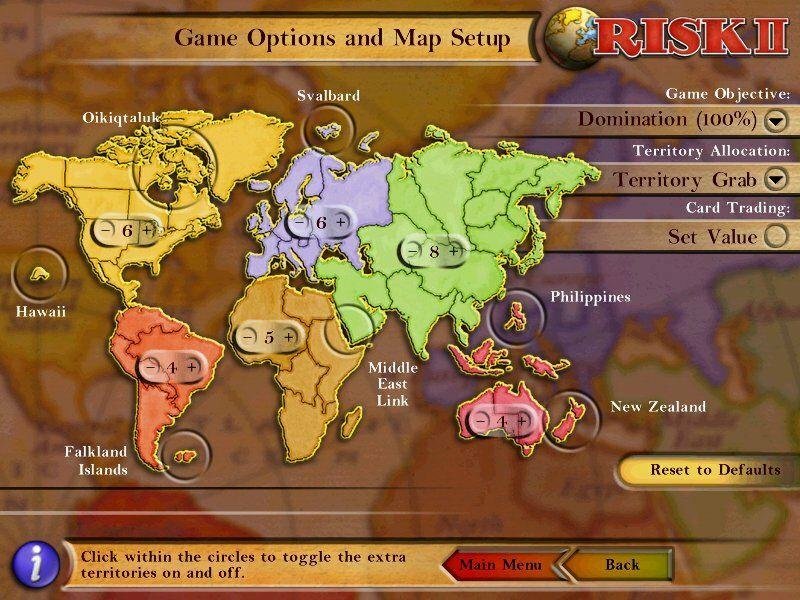 Map colors can be changed to represent ownership, threatened borders or troop strength. And the biggest map innovation of all is the optional separation of certain large islands into small countries. 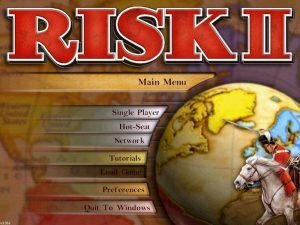 Along with the older random deal and player selection methods for setting up, Risk 2 also allows for “elections”. 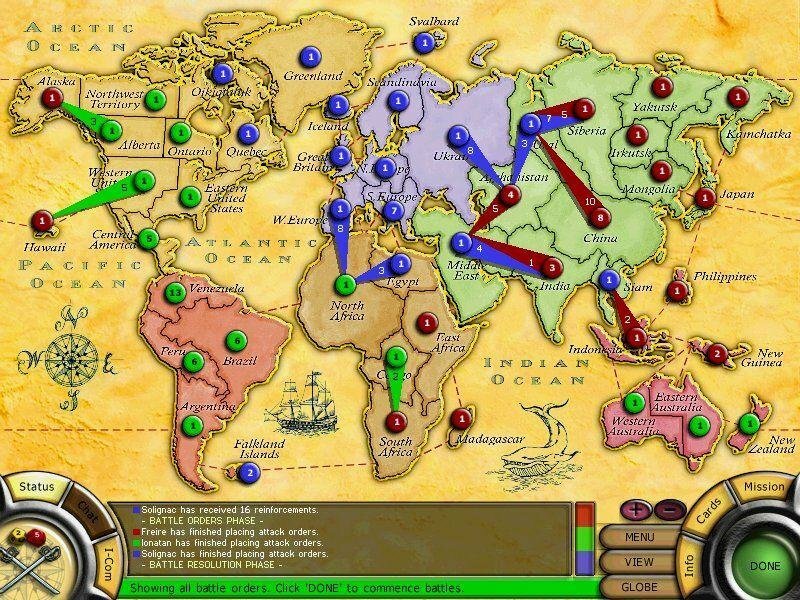 At the start of the game, you’ll have a certain number of “points.” When a country lights up, each player bids for it, with the high bidder taking control. 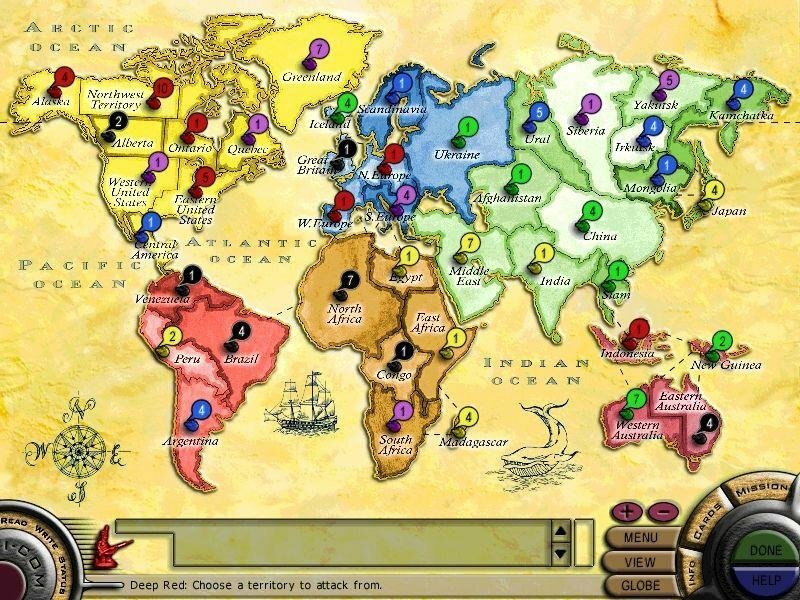 Depending on your preferred play style, you can either bid heavily in one strategic area (controlling fewer countries) or opt to spread out with more land. Adjacent countries owned by one bidder “influence” the target population by multiplying the bid amount. Go for those hearts and minds! Card sets can be increased either by ones or graduating amounts, or have established values based on types of cards. 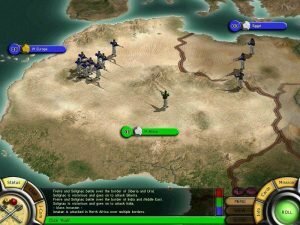 You can also choose objectives from a range of intriguing variants; if you so desire, the game-end condition can be gaining a certain percentage of the world, taking opponents’ capitols, or a passel of other goals selected from fifteen pre-defined missions. These variations keep even solo play interesting for a long time. 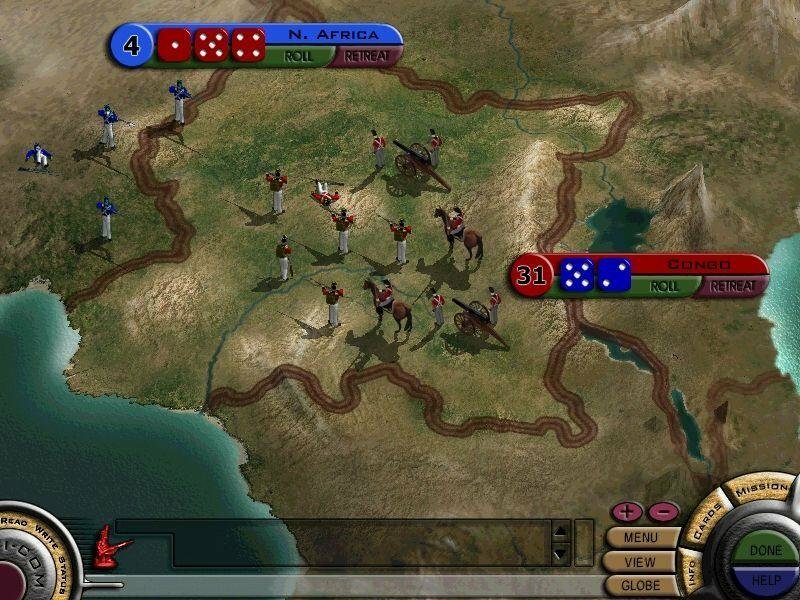 Classic-mode gameplay will be instantly familiar to players of either the boardgame or the old computer version, but the graphics make it seem new. When battle involving human players is joined, the view zooms to a 3D version of the contested area. Up to ten soldiers per side are shown kneeling, standing and firing. The dice still spin as rolled but the winning die strikes out at its opposite number, leaving no doubt as to the outcome. 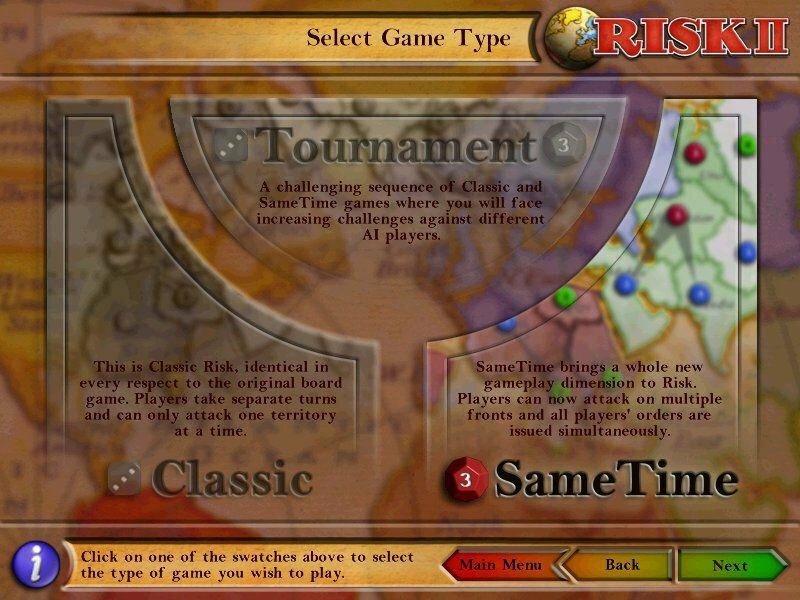 The attacker can choose not to roll the maximum three dice. Defeated soldiers crumple according to the roll. Does not work. Installs fine. Shifts to 800×600, then back to original resolution and quits. Does work. I just tested it. I’m not sure if you hate the game itself or if you can’t install it. i love this game, but cant get it to work. win10, im usually pretty good with crack, compatability, but like the other guy said, flicks to 800×600 and then back without starting.got any stps to take for folders to know im extracting it and placing files correctly?